we're blog hoppin'! my SC must-haves and an incredible promo! Studio Calico has an incredible (INCREDIBLE!) new subscriber promotion going on RIGHT NOW! And with this promo, you are in control! 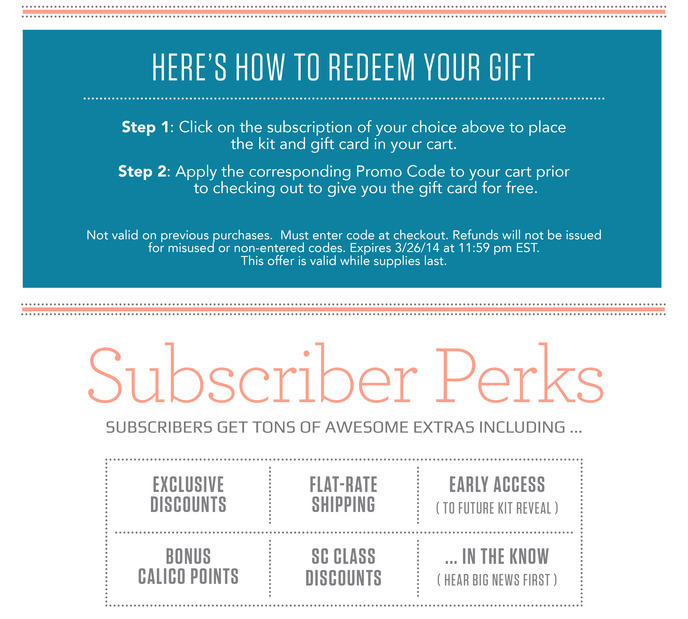 Start a new subscription - get a GIFT CARD! What?!?! So awesome! And what can you get with that gift card? That's where our blog hop comes in! Some of us on the SC Creative Team want to share some of our favorite shop items with you...just to give you an idea of all the cool stuff you can use that gift card for! 1. Wanderlust Tiny Word Stickers - so darling, so subtle, so perfect. 2. 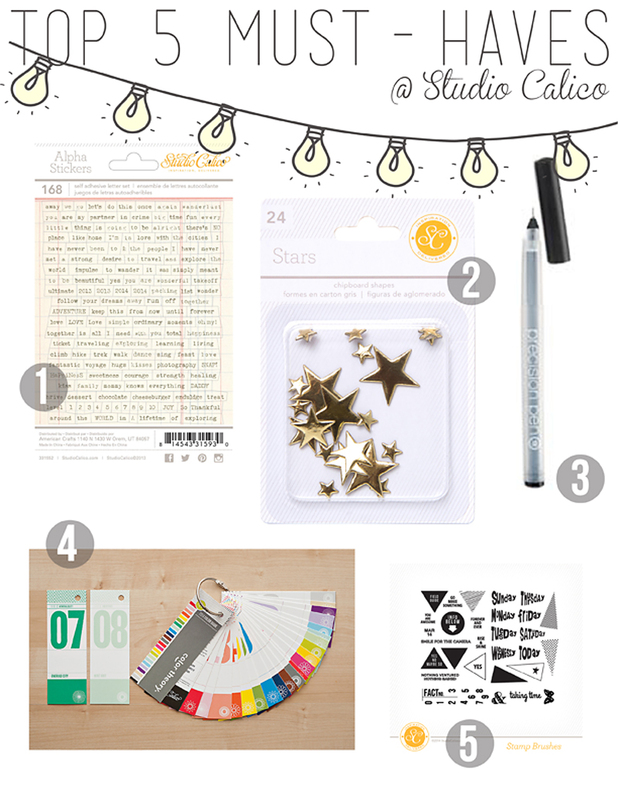 Essentials Chipboard Stars - I love love love the gold and woodgrain stars. 3. Precision Pen Black 01 - I have about 20 of these...I use them for ALL of my journaling. 4. Color Theory Swatchbook - the perfect tool for planning color combinations. 5. Digital Stamp Brushes - I use these on my photos, blog posts, to make unique PL cards, for everything! Sounds awesome, right? How can you possibly go wrong? But this offer is good only until March 26 at 11:59 pm EST...so don't wait! And don't forget to stop at the other team members' blogs to see what their favorite shop items are! I totally just signed up to be your 1000th follower! Whhooo hoooo!!! you have a great must haves!